When I was 16 I would often grocery shop with my mom. I remember her saying that if she averaged about 1 bag of groceries for each $10 spent, she felt like she did a good job managing costs. Nearly 3 decades later, I still think about that when I am checking out at the grocery store. As you probably already know, it would be a rare event to average $10 per bag with today’s prices (my mom even agrees). I recently wrote about having coupon fatigue and how I have noticed our grocery prices creeping up and up, even with using coupons. When I feel like I just cannot find a great deal on something, I usually take a step back and ask myself if I even need it in the first place. Of course, yes, we do need food, but we do not need to buy it in the same form. One way to save money is to make more from scratch. You might be thinking what I sometimes think – “it is only $.50 savings, why bother?” but when you think about it, that is usually what a coupon saves, right? And many times, making something from scratch saves much more than $.50. 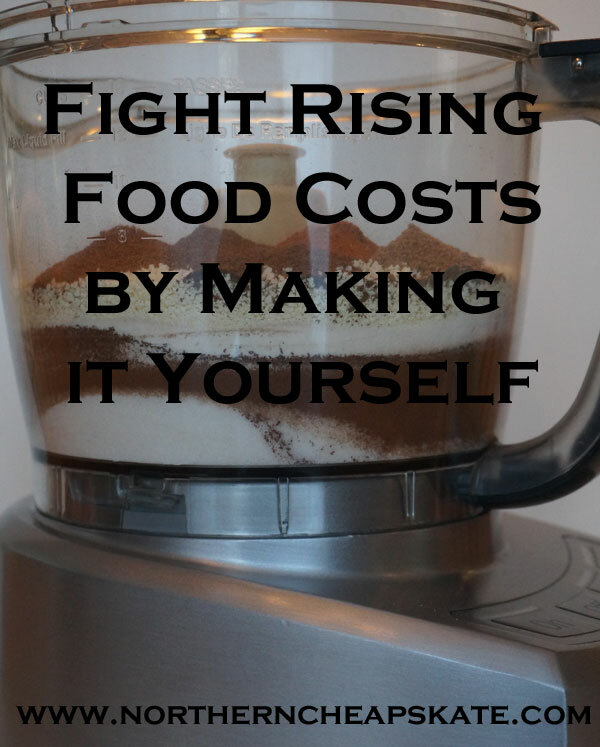 So it stands to reason that if you want to, you can fight rising food costs by making it yourself instead. An added bonus to making things yourself is that you can often buy much less in general, since you generally need common ingredients, just in varying proportions, to make many items. Here are just some ways we fight increasing grocery bills by making it ourselves. 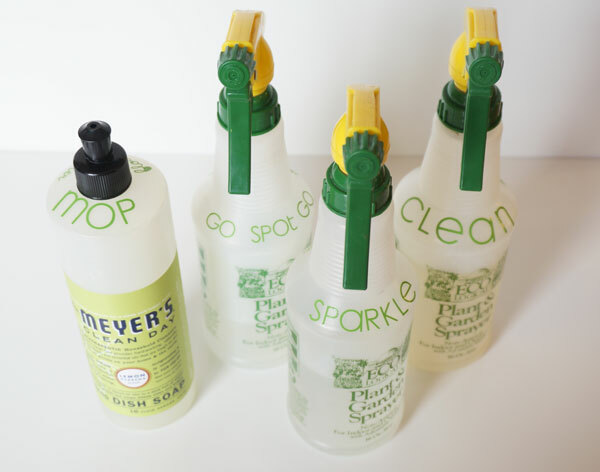 I make my own cleaning supplies and I LOVE it. I have been doing it for over 10 years and recently added laundry detergent to my list of homemade recipes. Every time I try a new homemade cleaner, I ask myself why I waited so long. And even more than the simple (and nontoxic) ingredients, I love the ease of quickly making a refill batch when I run out. I also make our bread. I think there are two products that have added to my success. First, is our bread maker. I do not bake the bread in our bread maker, but I do use it to make the dough. Once it is ready, I bake it in the oven. My most recent love is French Bread. The second product that I swear by is this bread keeper from King Arthur Flour. It keeps bread fresh for days longer than any other method we have tried. I love the adjustable air holes, which allow you to account for humidity. Hands down, one of the highest percentage of savings can be found by making your own seasonings verses buying them. I shared 3 of my favorite homemade mixes here last month; search recipe sites for any seasoning mix you might want to make yourself. Two cool weather drinks that I love to make my own mixes for are Hot Cocoa and Chai Tea. 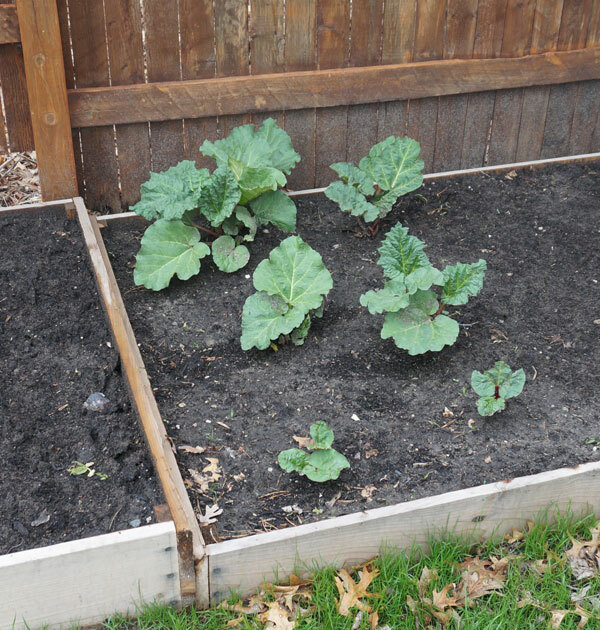 Whether you have a lot of space or just a little, you can grow all kinds of vegetables right at home. You can even grow your own sprouts right on your kitchen counter with very little effort. These are just some of the ways that we are fighting rising food costs by making it ourselves. How about you? How have you battled rising food costs? Do you make any of these things yourself? What are your favorite things to make? You can also find all of the recipes from Northern Cheapskate here. I make my own taco seasoning and salad dressings, not just to be frugal but because they taste so much better and there’s no preservatives/chemicals. I also do pancakes & waffles every weekend for easy breakfasts. Gina – I agree; the flavor is much better. I make my own taco seasoning, a few spice mixes (italian seasoning etc.) house spice and a few dressings. We also make all our own breakfast and Italian sausage. None of that funky stuff added in. I figure if I can’t pronounce an ingredient, my family shouldn’t be eating it!!! Also Italian beef, jelly, jam, waffle and pancakes from scratch. Gonna try laundry soap as soon as I use up what I have. I’m impressed – making sausage isn’t a simple task! I’m sure the results are worth it! Way to go, Vickie! There really is no limit to what you can make yourself. That is the beauty of it – you can start smaller and more simple and work your way up to more. I was also speaking with a couple people who was surprised that many things can be made at home. We have been so programmed that all we need to do is head over to the supermarket and buy the bottle/can/box. It is true! We once had a birthday party for our daughter where all the girls made their own pizzas. I was surprised how many of the girls had never seen pizza dough and some had no idea that it could even be made at home! This paperback is still the best fundamental make-it-yourself book ever. I have been using it for over 30 years. by Karine Eliason, et al. The best part–Amazon still sells used copies dirt cheap! I have a copy of that book! You’re right – it’s pretty great!